Drifft Sleep and Rest Bend | Affordable Price w/ Free Shipping! Category: Nootropics Tag: Midwest Logistics Brand: BELDT Labs. Sleep is a big part of our recovery time and plays a huge role in our overall health. Restful nights are far more beneficial and have a lot bigger effect on our body than some may think. It can be a decisive fact for your mood, energy levels and focus during the day. BELDT Labs created their own formula that promotes peaceful sleep called DRIFFT. It is a mixture of highest graded ingredients combined for optimal results. DRIFFT is a well-rounded formula which most of you will benefit from, whether you are trying to do your best at work or improve your fitness level. In this review we are going to do a research to see can it truly promote rest, help those with insomnia, and improve recovery. -DRIFFT Ingredients – How do they compare with the competition? Just a quick glance at the ingredients reveals this is no ordinary supplement. Pills are packed with high dosages of only a couple of compounds, but they are still able to make a big difference. This mineral is of crucial importance for the body’s function. 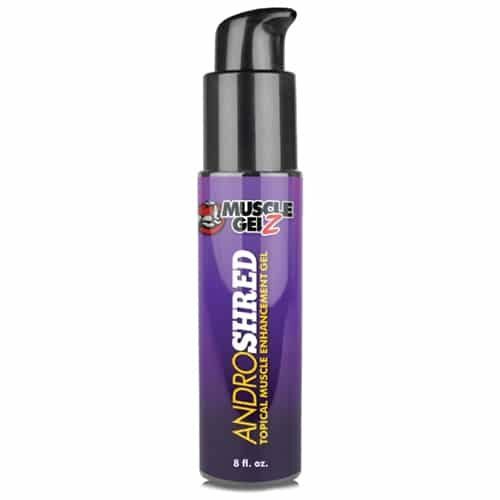 It is a great addition to any formula because of few amazing benefits it brings to the table. Magnesium is great for strong bones, optimal blood pressure, and also takes good care of your heart. It is an amino acid derived from tea leaves. People use L-theanine to improve the health of the cardiovascular system and fight stress. Gamma-Aminobutyric acid is a neurotransmitter with great positive effect on both mind and body. GABA is believed to have a good impact on mood, sleep quality, blood pressure, even muscle growth and much more. Has been a part of Chinese medicine for years. It has a huge list of benefits and it comes as no surprise as it has a great anti-oxidant value. 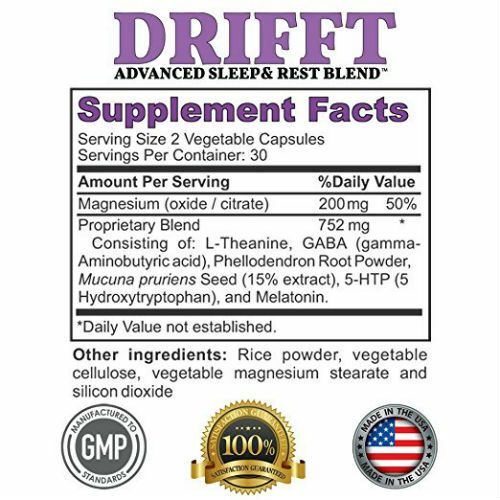 This powder is one of the key components of the DRIFFT formula, due to its calming and sleep improvement properties. 5-Hydroxytryptophan or oxitriptan is an amino acid naturally occurring in our system. It is used to treat insomnia and mood disorders, also doing a good job lowering levels of depression. Melatonin is a hormone created by a gland in the brain. It is of huge importance when it comes to controlling sleep and wake cycles. DRIFFT by BELDT Labs formula definitely contains few great compounds specialized in sleep aid. Besides the supported rest and recovery, you could also experience few additional benefits from the ingredients packed inside the pill. -DRIFFT Side Effects – Should You Be Concerned? You shouldn’t put almost any concerns into this ones safety. There is a very low risk for any side effects, and even if you get to experience some, it should be minor ones like daytime sleepiness or dizziness. -DRIFFT Reviews – What do people have to say about its effects? Besides the person we quoted earlier, almost everyone had a positive experience. BELDT Labs is a rare manufacturer that manages to keep such a high percentage of their customers happy with almost anything they throw on the market. It is something definitely worth keeping in mind if you had bad experiences in the past. -The Final Verdict on DRIFFT? Good sleep manifests in countless ways. It is great for both mind and body and carries a huge list of benefits. DRIFFT is well designed, featuring quite a list of sleep aid ingredients. Besides restful sleep and recovery, you could also experience few additional changes, such as improved libido, less stress, better mood, boosted energy, and more. All in all, it is a well-rounded formula for every individual lacking high-quality nighttime and having troubles with sleep and mood disorders. In addition to all the positive sides it has, DRIFFT has a very low chance of causing any side effects. So, if you are looking for a product of this kind, this one is definitely worth considering. What is DRIFFT supposed to do? Among other things, DRIFFT’s main goal is to give you a good night of sleep. It does so by relaxing both your mind and your body, putting you into the optimal state for deep REM sleep. Additionally, it also tends to improve your concentration and makes you feel great by reducing your stress levels. Since there are lots of positive reviews for DRIFFT and since it has such a good mixture of ingredients, I highly doubt it does not work.